You could see the smoke for miles, rising above the Mt. Scott trees. But up close there was one thing that caught neighbors' eyes. "The whole back was just full of flames ... the whole thing was a fireball," said neighbor Juliano Wilson. On Monday afternoon, that fireball engulfed a 3,300 square-foot home at 12500 Mount Scott Blvd., Happy Valley. 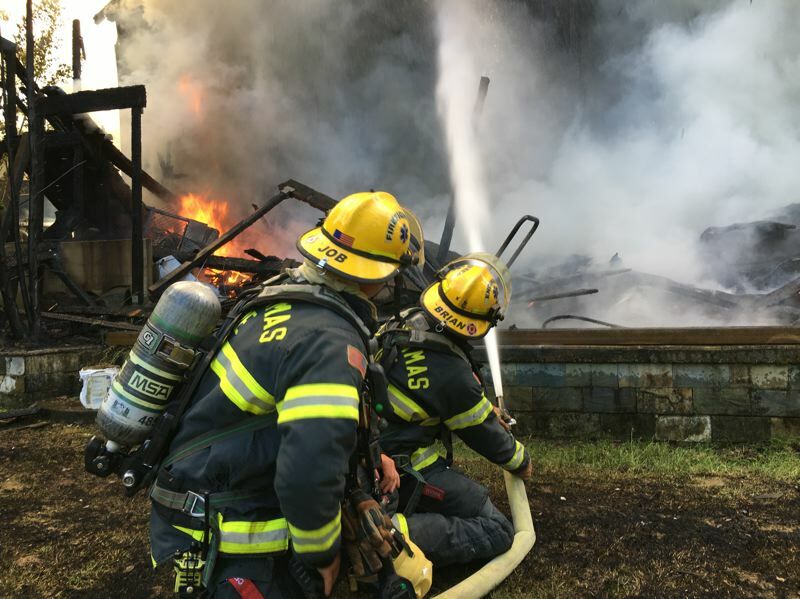 It took over 45 minutes for more than 50 Clackamas County firefighters, with the help of Portland Fire, to contain the blaze. The flames spread fast after the house caught fire before 6 p.m. Wilson said the fire transformed into a massive blaze in three minutes. "I've never seen anything like it," he said, "I've seen house fires, but not like this." The homeowner, according to Clackamas Fire, wasn't around to see it start. She was grocery shopping. Eventually she arrived back at home to find the chaotic flames. She immediately ran to the front door and opened it, allowing the two dogs trapped inside to escape. No one was injured, but everything in the home, according to one firefighter, was completely destroyed. The Clackamas County assessor's office estimated the value of the building (without the cost of the 0.6-acre lot) at $267,000. The cause is still under investigation. For neighbors like Wilson the images, caught on video and camera, will last forever. "Hell on earth," Wilson said. 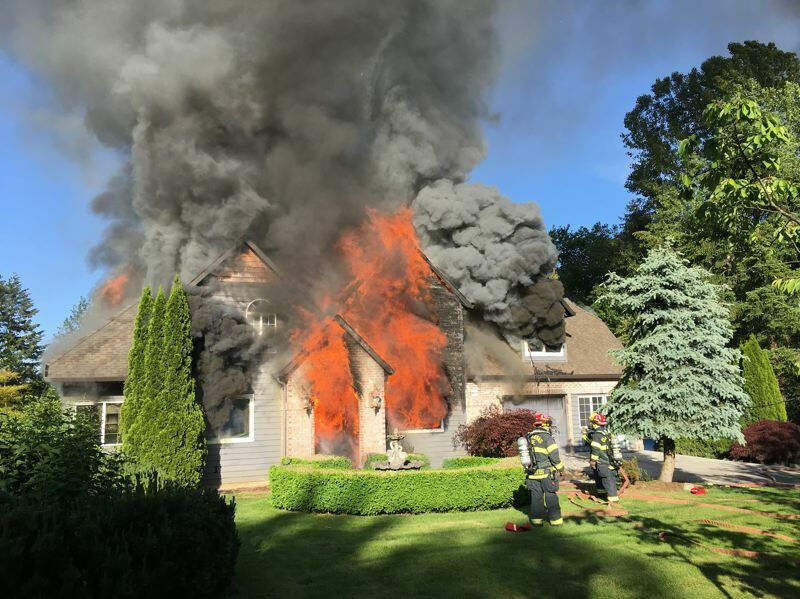 On Tuesday morning, Clackamas Fire said the fire likely started on the outside of the home.